Decoration in private rooms, offices, hotels, markets, etc. 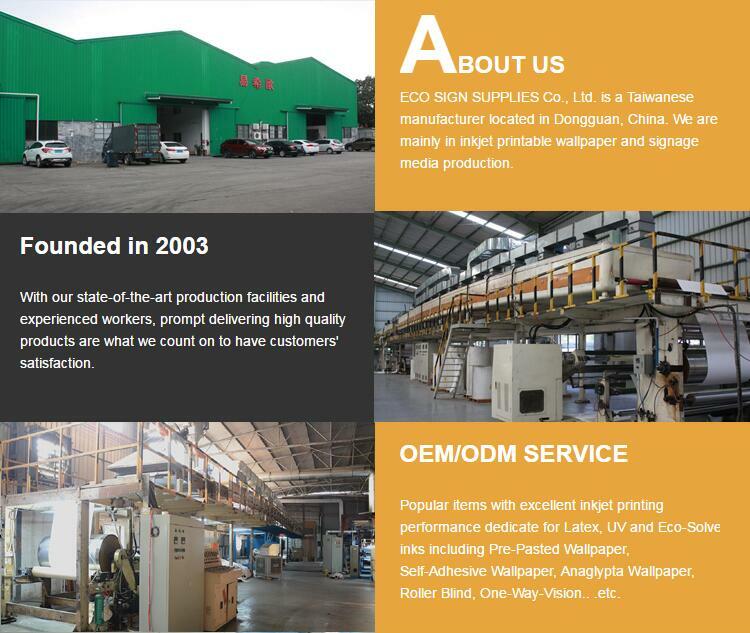 1) With environment protection coating which can quick dry after printing and have perfect printing effect. 2) Flexible and variable color, pattern, picture as any of your personality style designed and made on demand. 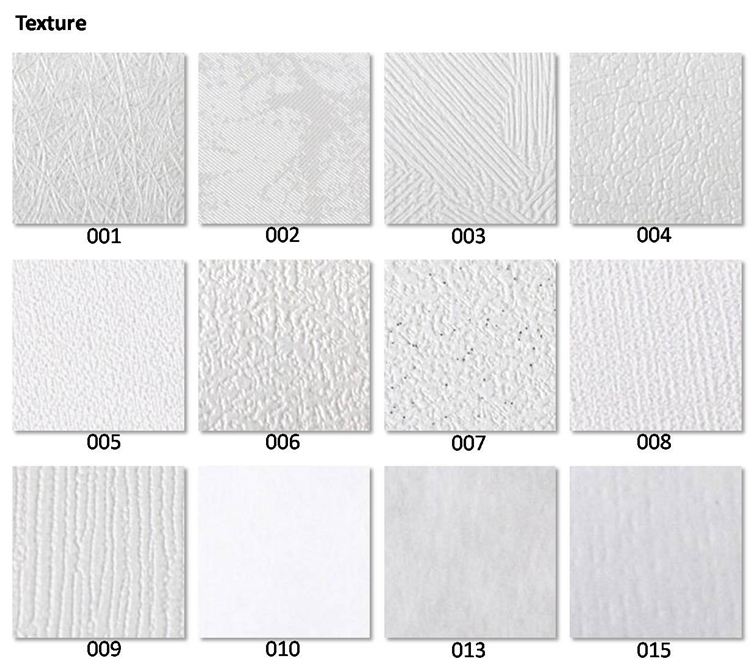 3) Fine texture delivers high quality images, Vibrant color after digital printing process. 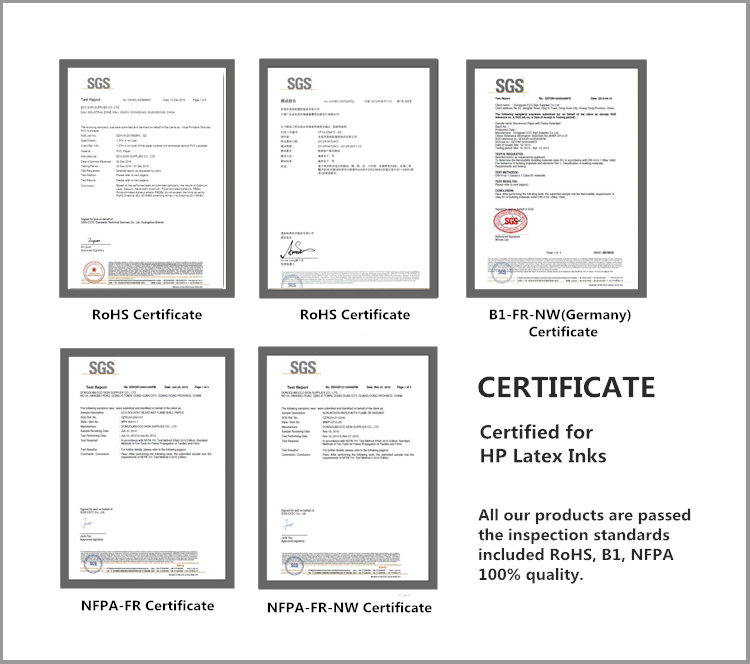 4) Ink dries immediately with correct ink settings optimized according to ink, printer and software instructions, rip and profile. 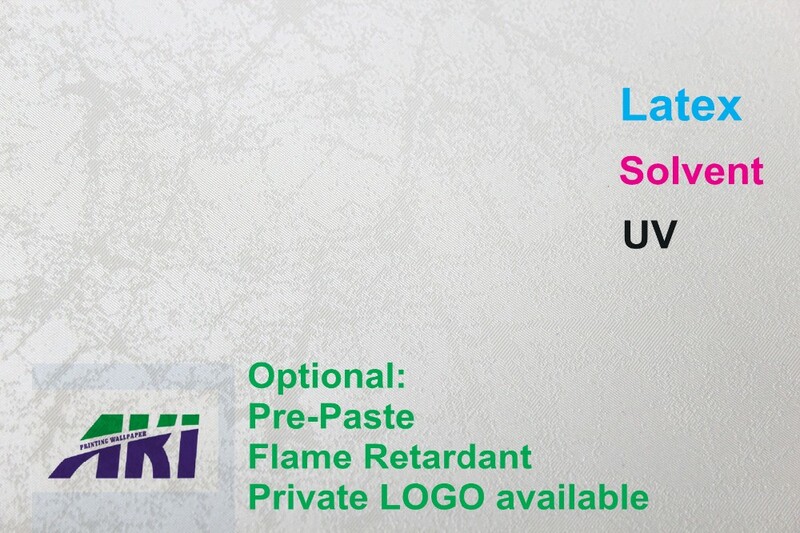 5) Suitable for most large format inkjet printers. 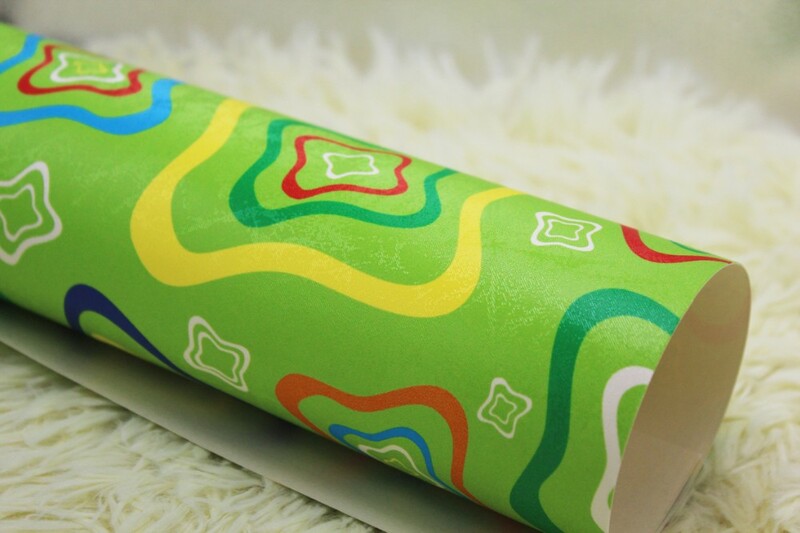 ... We accept small order 1 roll.
? Sample & catalogue for free. 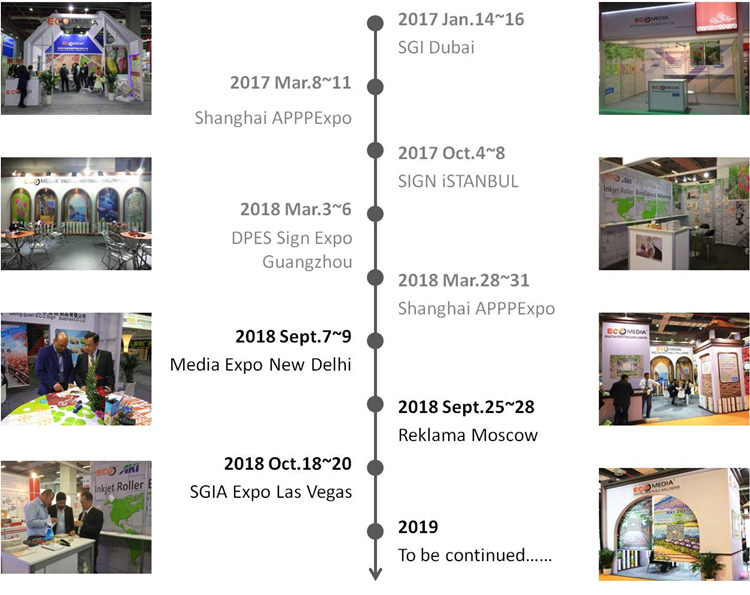 ... From 1m~5m free for customer testing. Freight is on customer account.
? 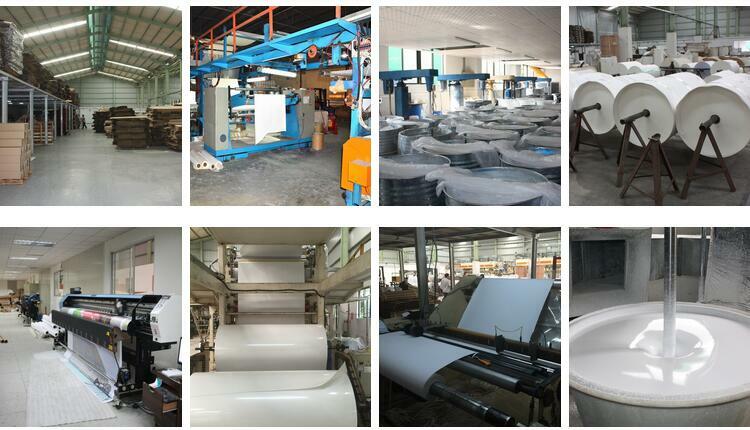 Our wallpaper standard size is width 107cm, length 30m/50m per roll. 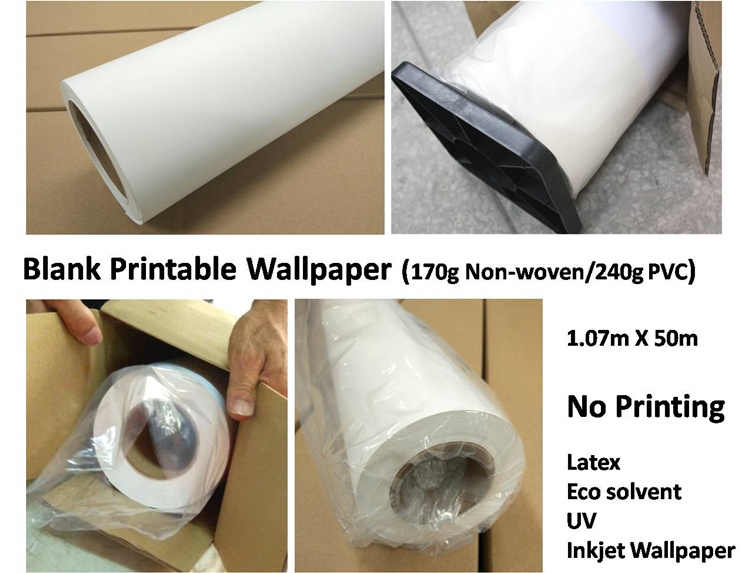 ... We supply "blank" printable wallpaper, for Latex/UV/Eco-solvent inkjet.
? 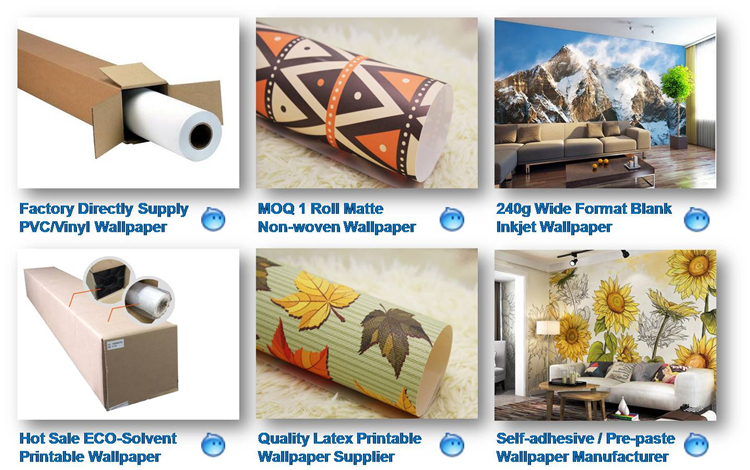 We supply normal, pre-pasted, self-adhesive 3 types of wallpaper. 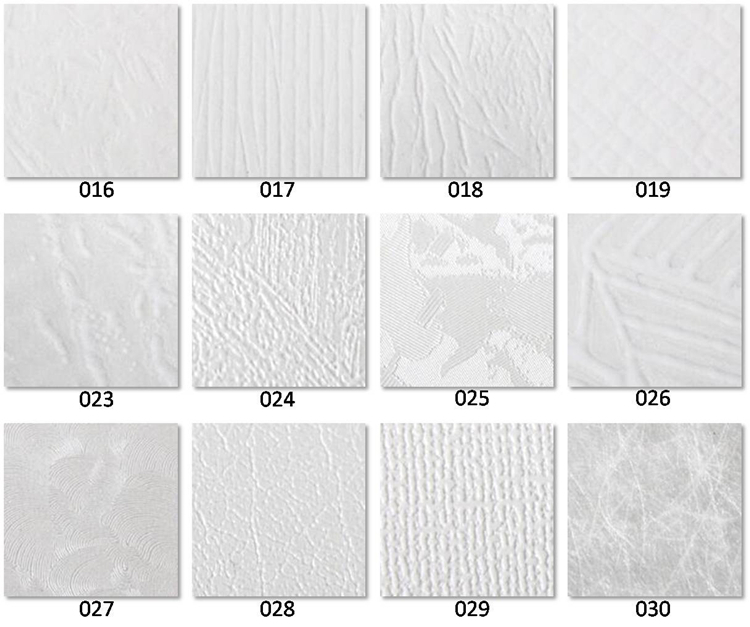 ... Normal: like traditional wallpaper use rice glue. Pre-pasted: already with glue, like a stamp, just spray water on the back, waiting 1 minute, then stick on wall directly. 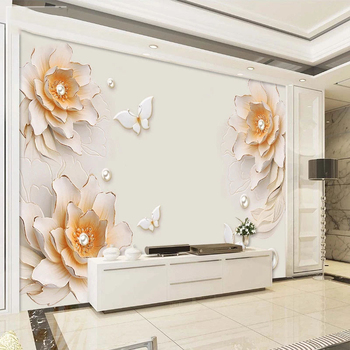 Self-adhesive: like a sticker, with a liner, peel off it and stick on wall directly. 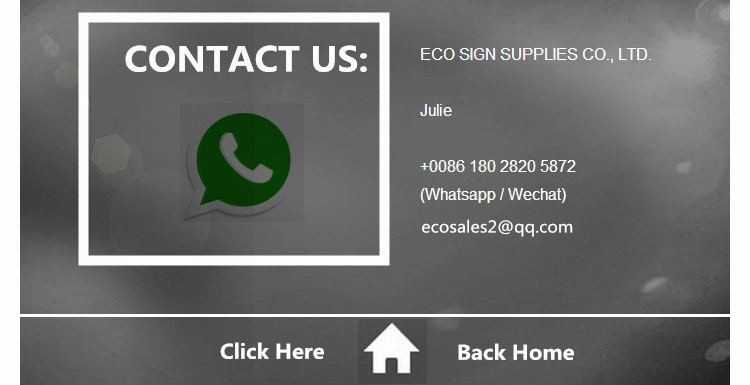 Dongguan ECO Sign Supplies Co., Ltd.